Good morning … Vitals and I are celebrating our anniversary today. It’s been exactly a year since I, Axios’ 62nd employee, starting sharing this newsletter with David Nather, Axios' 9th employee. Now we’re 112 strong — just yesterday, we officially outgrew our co-working space and moved into fancy new digs of our own. Many thanks to all of you who have been loyal readers over the past year, especially those of you who write in to point out typos or offer your thoughts on what we’re covering. Your feedback is part of what keeps this job fun. Keep it coming! After fighting it for four years, Virginia will soon adopt the Affordable Care Act's Medicaid expansion. Both chambers of the state legislature passed a budget bill last night that includes the expansion, which Gov. Ralph Northam is expected to sign. Why it matters: Virginia is a big state — the expansion could cover as many as 400,000 people. And it's a reminder that, even after years of exhausting political fights, health care is still a salient issue: Medicaid expansion was a key part of Northam's campaign and helped propel Democrats' gains in the statehouse. 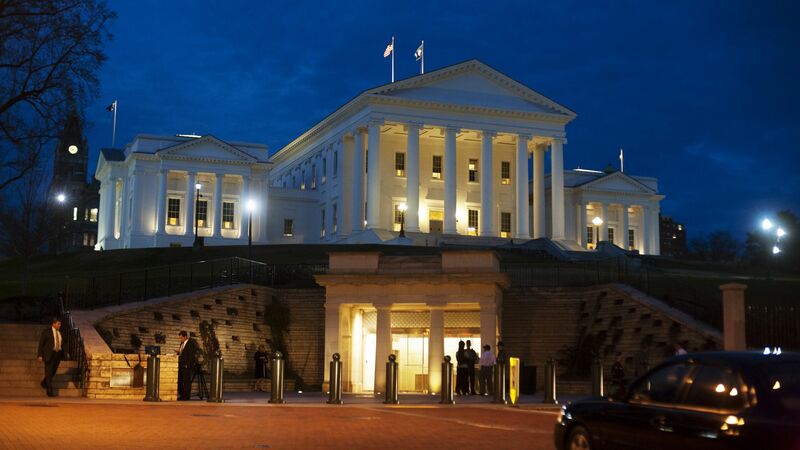 The catch: The plan Virginia lawmakers approved yesterday would include work requirements and premiums, similar to the restrictions other states have recently adopted. Those rules could shave almost 20% off the number of people covered by the expansion, according to the Center on Budget and Policy Priorities. Yes, but: Other states' work requirements have stirred more controversy because those states had already expanded, and are now seeking to trim their rolls. An expansion with work requirements seems to be the best deal Democrats are going to get in Virginia, and that still shakes out to cover hundreds of thousands of uninsured people. Axios' Caitlin Owens notes a positive development in the opioid crisis: Doctors are increasingly using prescription drug monitoring programs — databases that track patients' drug history — in an effort to cut down on inappropriate prescriptions. This rise in monitoring corresponded with a 9% drop in opioid prescriptions between 2016 and 2017, according to new data from the American Medical Association. The number of opioid prescriptions decreased by 22% between 2013 and 2017. Prescriptions for naloxone, which is used for opioid overdose reversal, more than doubled in 2017 and are still on the rise in 2018. Over the past year, there's been a 42% increase in the number of providers certified to use buprenorphine to treat opioid use disorders. What's next: The AMA says policymakers need to focus on stubborn barriers to treatment, including insurance coverage issues. "Treatment is key ... on average, 9 out of 10 patients who want access to medication-assisted treatment can't get that medication-assisted treatment," said Patrice Harris of the AMA's opioid task force. On drug prices: “Some of the big drug companies, in two weeks … because of what we did, they're going to announce voluntary massive drops in prices,” Trump said. It’s not clear what Trump is referring to. An industry official was not aware of any such announcement in the works. This is likely a reference to association health plans and short-term plans. Both of those rules should be finalized soon. Health insurer Aetna and physician staffing firm Mednax are at each other's throats in federal court, accusing each other of using fraudulent or nefarious practices to boost profits — at the expense of sick infants. The dispute focuses on Aetna's reimbursements to hospital neonatal intensive care units staffed by Mednax doctors. Aetna's allegations: "Mednax made infants appear sicker than they actually were, so that Mednax could bill Aetna and its self-funded plan sponsors at higher rates corresponding to more intensive infant medical care." Aetna alleges Mednax has bilked $50 million from the insurer due to widespread overbilling. Mednax's allegations: Aetna "seeks to improperly interfere with the medical care provided by [Mednax] physicians to our country's most vulnerable population: critically ill and premature newborns." Between the lines: Both sides have some history to stand on, Bob notes. Upcoding is a major problem among providers, but there have also been instances of insurers pressuring doctors to reduce medical claims. You didn't expect to hear the Trump administration accused of tough ACA enforcement, right? But a group of business associations says it's relying on an "unlawful and deeply flawed process" to enforce the ACA's employer mandate. The issue: The IRS has begun sending out notices to businesses that it believes owe fines for failing to comply with the mandate. The tax agency has said some 30,000 employers are on the hook for a total of roughly $4.3 billion in fines. The other side: A coalition of employer groups, including the National Restaurant Association and the National Retail Federation, say the administration is breaking the rules. The text of the ACA and its implementing regulations say that employers should receive a notice from HHS if they're believed to be in violation of the employer mandate. But the current round of notices is coming from the IRS — which "manifestly is not the notice required by ACA," the critics charge. They're asking the administration to stop enforcing the coverage requirement "until the mandate can be fully repealed." Axios sat down with leaders on both sides of the abortion-rights debate to talk about what's on the line in this year's midterms and thereafter. Marjorie Dannenfelser, president, Susan B. Anthony List: "The future of Roe v. Wade is on the line this election, without question." Stephanie Schriock, president, EMILY's List: "It is about freedom, it is about the ability to make choices in your life." Correction: Yesterday's Vitals misstated the number of states that have not expanded Medicaid eligibility. At this moment, it's 19 states. Once Virginia's expansion is finalized, it'll be 18. Maine has passed the expansion but hasn't actually enacted it yet; if and when that happens, the total will fall to 17. What else am I doing wrong? I'm a glutton for punishment so feel free to pile on: baker@axios.com.